What Should My Credit Score Be if I Want to Buy a Home? Home » Mortgages » How High Does Your Credit Score Need to Be if You Want to Buy a Home? How High Does Your Credit Score Need to Be if You Want to Buy a Home? When you first start looking into financing a real estate purchase, you’ll quickly learn your credit score makes a huge difference. This three-digit number is essentially a calculation of how likely you are to repay a loan. Even if you’ve never checked your score before, it still exists and can either help or harm you when purchasing property. Whether you’re looking at single-family homes, condos, or lofts in downtown San Diego, read on to discover how your credit score could affect your ability to buy a home. This is considered a bad credit score. You may not even qualify for standard FHA loans, which are often the recommended loan type for people with poor credit. Those who can get an FHA loan need to have a score of at least 500, and they’ll have to pay a down payment of 10 percent. The higher down payment is required because it’s a bigger risk for lenders. Once you get into this category, your credit score still isn’t ideal, but you’re not in such a bad position. You can qualify for an FHA loan with only a 3.5 percent down payment once your score hits 580, and if your score is at least 620, you can even get normal housing loans backed by Fannie Mae and Freddie Mac. In general, anyone with a credit score of at least 600 will be able to find some reasonable mortgage options. Most home buyers tend to fall in the upper 600s. You might find your interest rates are a little higher, costing about .5 percent on average more than the company’s lowest interest rate offerings. However, most lenders will still be willing to work with you, and it shouldn’t be particularly challenging to get a home. You may find you can get more favorable rates by being willing to pay a higher down payment. 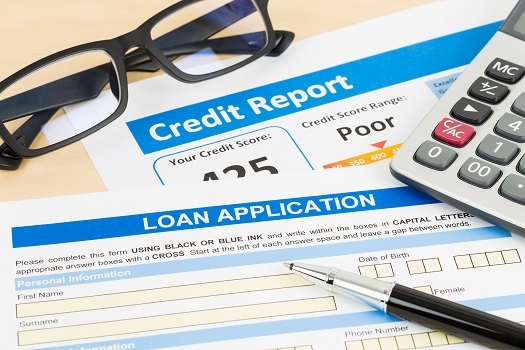 All loaning institutions see people with credit scores of 700 or higher as having good scores, which puts them in a far better position when shopping for loans. Since lenders see you as being decently reliable and likely to pay off your loan on time, you’ll have access to lower down payment options and lower interest rates. If your credit score is in this range, you’re one of the rare people with excellent credit. Lenders love working with those who have excellent credit because they feel like it’s a wise investment. You can expect to get interest rates as much as two percent lower than people with poor credit. Those with excellent credit are also far less likely to have to pay hefty fees or high mortgage insurance rates when settling on a loan. If you’re interested in purchasing San Diego real estate, downtown is an area that always has a variety of great properties available, and if you aren’t happy with the initial interest rate on your home loan, you can take advantage of the opportunity to refinance later. The experienced agents at 92101 Urban Living can help you start your search for the perfect property. Call us at 619-649-0368 today.